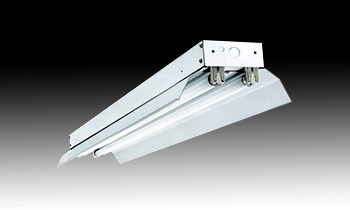 Specification grade welded industrial fixture with white symmetric reflector. For use in indoor applications where a T8, T8HO, T5, T5HO, T12 or T12HO industrial fixture with welded ends and low cost is required. Available in 4′ and 8′ lengths.